Emmanuel joined initially joined Cygnet as Clinical Manager of Cygnet Hospital Beckton in 2011. Prior to that Emmanuel had worked in various NHS settings for over 14 years, most recently as Modern Matron at the John Howard Centre in East London. Emmanuel gained a Diploma in Mental Health from Middlesex University in 2001 and a MSc degree in Health Management from City University, London in 2010. Emmanuel's areas of expertise include promoting service user led services, staff development and project management. Amongst his other achievements Emmanuel was a nominee for the Mary Seacole Award in 2006. He was appointed Hospital Manager of Cygnet Hospital Ealing and Cygnet Lodge Kenton in 2017. Ola joined Cygnet as a staff nurse in 2005 with dual qualification of RGN and RMN. Ola is a fully trained DBT nurse specialist. 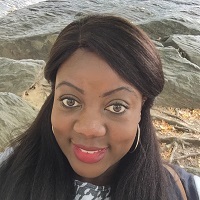 Ola became the ward manager of New Dawn ward in Cygnet Hospital Beckton in 2009 and played a key role in several transformational changes that took this ward to excellence in provision of treatment for females with personality disorder. 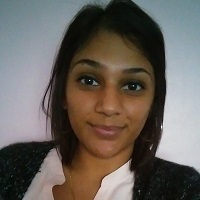 In 2013, Ola became the service manager for the personality disorder service in Beckton following service structural changes. Recently, Ola has been working as Quality Assurance Manager for Cygnet Hospital Beckton before being appointed as Clinical Manager for Ealing and Kenton. She has won several awards as a manager and nurse and is well acknowledged for her dedication to improving service user and carer experiences, for robust systems and processes and for her unwavering dedication to achieving excellence in her area of work. Sherlyne was qualified as an RMN in 2008. She started her nursing career on the older adults ward for Central and North West London NHS Mental Health Trust. Sherlyne has worked in various units such has the Home Treatment Team and later managed the acute inpatient ward for four years. Sherlyne joined Cygnet in 2015 as the Registered Manager for Cygnet Lodge Kenton. Kevin is a Consultant Psychiatrist in Medical Psychotherapy and an active member of the multidisciplinary team on the New Dawn Personality Disorder Assessment and Treatment Service. 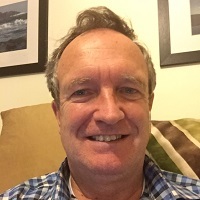 He retired from the NHS in 2011 with much experience of working with individuals and families who suffer the impact of personality disorder on their lives. He has always been active in medical management, teaching and training, and in encouraging real patient involvement in their treatments and in the development of therapeutic services. Kevin is a past Chair of the Faculty of Medical Psychotherapy, RCPsych, and a past Chair of the Association of Therapeutic Communities. He brings these experiences to Cygnet Ealing and Kenton and seeks to continue to learn about and develop his clinical work with patients and their families. Dr Kang is the Responsible Clinician and Consultant Psychiatrist at Cygnet Lodge Kenton. She holds her private practice clinics at Cygnet Hospital Harrow, Trust Plus Harrow, and 10 Harley Street, London. She qualified as a medical doctor from Imperial College Medical School and went on to specialise in psychiatry with the London Deanery. She has over 17 years’ experience in diagnosing and treating mental health problems, both in the NHS and private sector. Her clinical specialties include Depressive Disorder, Bipolar Affective Disorder (Manic Depression), Anxiety Disorders, Psychosis, schizophrenia and stress related disorders. She also has a special interest in Spirituality and Mental Health, Medically Unexplained Symptoms and mental disorders related to chronic physical health problems. She can carry out assessments in both English and Hindi. Passionate about reducing stigma, for three years Dr Kang presented a weekly mental health radio show with the BBC every Sunday called Shrink Wrapped. She also regularly features on Radio 4’s Thought for the Day and Beyond Belief. In 2014 and 2015 she was runner up for the Royal College of Psychiatrists Public Educator of the year Award. She also sits on the Royal College of Psychiatrists Public Engagement Editorial Board and the Executive Committee of the Royal College of Psychiatrists SiG for Spirituality in Psychiatry. Committed to optimising mental wellbeing, she has authored publications in books, broadsheets, magazines and journals. Dr Kang also runs Health and Success Management seminars in the corporate sector which integrate Eastern and Western approaches. To book an appointment please contact Dr Kang's clinic on 0203 773 1314 Monday to Friday 9am-5pm. Margaret qualified as a Social Worker in 2011, having experience working in learning disabilities and traumatic brain injury teams, before entering the field of mental health. Margaret empowers service users to assert their needs and wishes, promoting partnership working with professionals towards the ultimate goal of their recovery. She also advocates for the involvement and wishes of families towards the care and treatment of service users in hospital. Margaret is passionate about social justice, human dignity and self-determination. She has a keen interest in women issues, specifically female empowerment. Margaret leads the SHINE program at Cygnet Lodge Kenton helping females rediscover their intrinsic worth, value and strength. This passion extends to her personal interests through leading social groups for women in the community. Dina qualified as an Occupational Therapist in 2013. She started her career with a medical rotation in North West London Hospital working covering, orthopedics, medical, short stay and care of the elderly wards. Her skills lay in complex discharge planning and holistic care. She has a strong passion to work with service's users with mental health needs and supporting their recovery journey. At Cygnet Lodge Kenton Dina completes a comprehensive occupational profile on the services users to support her in constructing meaningful interventions. As well as, individual sessions, Dina also runs groups as part of the therapy programme to provide services users with skills and knowledge to enhance their recovery and challenge their skills set. Dina also supports the discharge planning process, supporting not only the mental recovery but physical health if needed. Dina aims to further community links within Cygnet Lodge Kenton and supporting services users to engage in vocational roles.